The BT Young Scientist & Technology Exhibition is nearly over for another year (boooo) but never fear, there is still a place for you to stretch your brain (yayyy!). Last week Google launched their 2012 Science Fair, asking students from all over the world "what's your question?". And that's all science really is, a quest to answer the questions that niggle on my minds. The online science competition seeks curious young minds, from 13 to 18, to come up with original, creative projects which try to answer those questions. Google knows that not every genius get A's and the Science Fair is open to everyone - "mavericks, square-pegs and everybody who likes to ask questions". 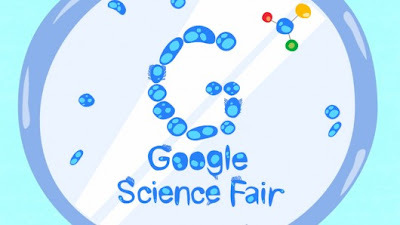 The Google Science Fair website has everything you need. There are some top tips to ensure your submission is successful, essential "dos and dont's", full details on how the project will be judged and a massive section with all the help and resources you will need.. (The short video below will explain the process too). There is also a dedicated toolkit for teachers on how to get the best from your students. There are some excellent prizes on offer too, from Google Chromebooks for regional winners to trips to the Galapagos Islands with National Geographic Expeditions, scholarships from Google (up to $50,000 for the overall winner) and work experience opportunities in CERN, LEGO or Google. So get your thinking caps on, starting thinking of your question and register online now! When will they invent ... Invisibility Cloaks? YouTube Saturday - This is a Galaxy. Or is it?